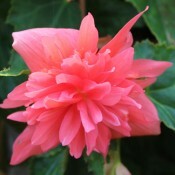 Begonias are really inspiring. With beautiful flowers, a trailing habit and decorative foliage, the begonia will fulfill your gardening needs. 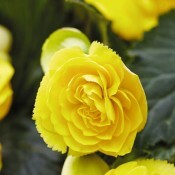 Begonias are useful for containers, hanging baskets, and window boxes. 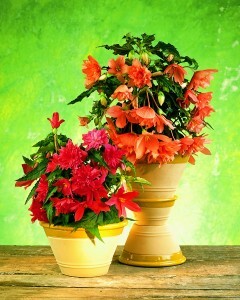 The Orchid Series is a real showstopper in almost any garden application. 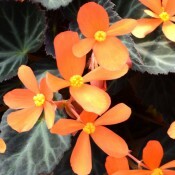 This dazzling begonia is sure to catch eyes with its stunning tangerine flowers that burst forth from rich, dark bronze foliage. Sparks Will Fly blooms continuously throughout the summer making it a fantastic low-maintenance addition to planters and borders. 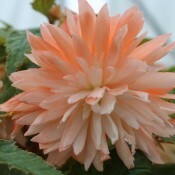 As the weather cools in the autumn, the glowing orange blooms flush with yellow.